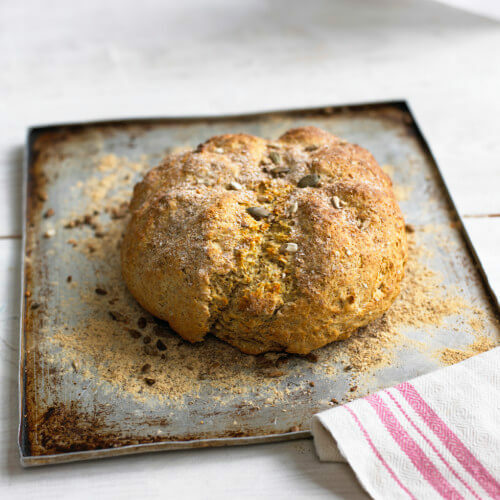 Bread is a great thing to make with children: take some simple ingredients, get your hands dirty kneading, shaping, proding and poking your dough, then watch it come alive, rise and grow into a delicious loaf. In this hands-on workshop we will look at what goes into bread, talk about how we make it rise and work through the key stages of kneading, rising, shaping and proving our dough. We will make a delicious soda bread, some mini loaves, a quick rise tear and share bread and breadsticks. Everyone will take home a bag of amazing smelling, freshly baked bread, a full handout and the knowledge and enthusiasm to get baking at home. Cost: £20 per child. Children ideally need to be aged 6+ and accompanied by an adult participant. We supply everything you need, just bring your apron.